Do your bit to help the less fortunate children be the best they can be and for them to have a fair start in life. 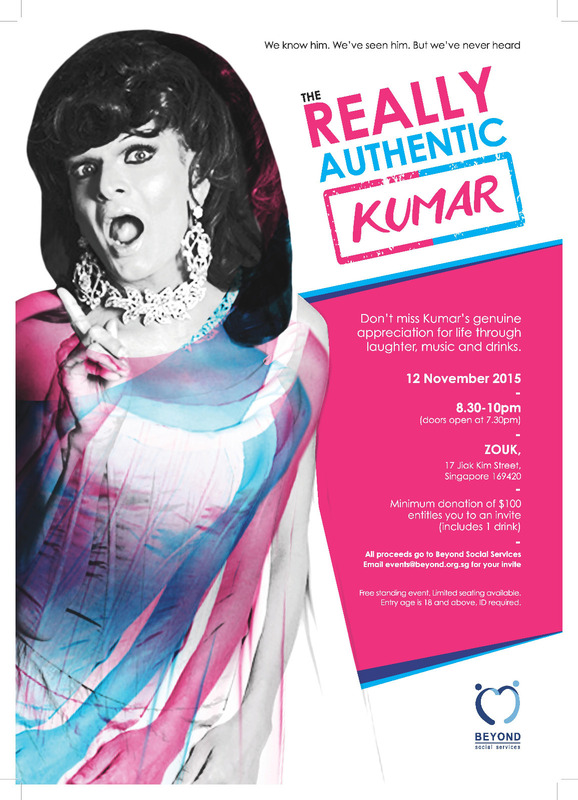 Join the amazing Kumar as he brings you The Really Authentic Kumar, for one night only! All proceeds go to Beyond Social Services!